Openings: Located between Harvard and Central squares, Pammy’s (928 Mass. Ave. at Hancock Street) officially opens July 10. The restaurant’s food “is New American but leans heavily on Italian, with Asian elements,” according to namesake Pam Willis, who runs the place with chef husband Chris. Chris Willis started his career at Rialto and recently cooked at Jean-Georges Vongerichten’s ABC Cocina. Drink natural wines while supping on braised octopus with crispy polenta and red-pepper pesto, lumache Bolognese made with gochujang, Arctic char with farro and dried strawberries, and peach-blueberry crostata with honey ice cream from pastry chef Mareena McKenzie. 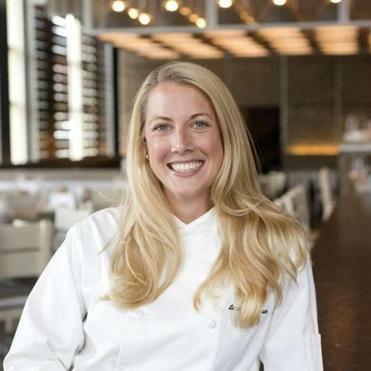 Lauren Moran, former executive pastry chef for Eastern Standard, Island Creek Oyster Bar, and Row 34, has opened Honeycomb in Hamilton (248 Bay Road). The bakery/cafe/gourmet shop serves breakfast pastries like muffins, croissants, and the signature honey bun: brioche dough filled with honey pastry cream, dipped in brown butter-honey glaze and sprinkled with Maldon salt. You’ll also find homemade bagels, soup, salads, and sandwiches on house-made bread. To drink, there is Speedwell Coffee and MEM Tea; the shop has a cheese counter and sells local honey, sea salt, pottery from New England artists, and linens made by a Honeycomb staffer. “We offer handmade, beautiful products, as local as we can find them,” Moran says. Lynn has a new neighborhood spot: District 45 (45 Lewis St. at Burrill Avenue). Chef Corey O’Shea’s menu includes oxtail sliders, pork belly ramen, and blueberry-braised short ribs. District 45 also serves brunch. Road trip: Cara Chigazola-Tobin, former chef de cuisine at Oleana, has opened Honey Road in Burlington, Vt. (156 Church St. at Main Street). The restaurant specializes in mezze such as haloumi with sesame-rhubarb jam and mint, salmon kibbeh nayeh, and pomegranate-glazed lamb chops with almond tabbouleh. Awards: Grill 23 (161 Berkeley St. at Stuart Street) received Wine Spectator’s 2017 Grand Award, “given to restaurants that show an uncompromising, passionate devotion to the quality of their wine programs.” Grill 23 was the only restaurant in New England to receive the prestigious award this year.